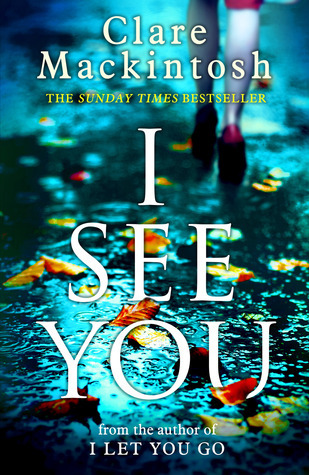 Zoe Walker is disturbed when she sees a photo of herself in the classifieds section of a London newspaper, alongside ads for personal services. Accompanied by a dead telephone number and a website which appears to lead nowhere, she wonders if it really is her. Other images follow, of other women. None of whom appear to be looking at the camera. Zoe wonders if it's just a coincidence, or perhaps a practical joke. Until she recognises one of the women on a TV news story, following a brutal attack. I really enjoyed the premise of this fast-paced novel, in which almost everyone could be a suspect, and we, the reader, have no idea what will happen next. Most of the characters are well-developed, adding belief to their motivations and actions, and each strand of the ever-developing mystery blends well. I was a little disappointed at the end though. Some of the plot threads just didn't come together the way I would have hoped. There were many loose ends, a particular motive which I felt was not fully explored and which has left me wondering if I may have missed something earlier on. The premise of the whole novel though... I found it fascinating,, it's such a creative idea for the basis of a novel!